Its been a while since Connor got his hair cut. Part of it is because of how much he hates getting his hair cut. Ok, so that is pretty much the whole reason. But I was getting fed up with his hair. Sometimes it could look adorable...a little surfer boy. But most of the time it looked either like a Donald Trump comb over or an unkept mess. The other evening I decided to do something about it. I cut his hair myself. In order to distract him, I set Connor at the sink. That way he could play in the water. And it worked. 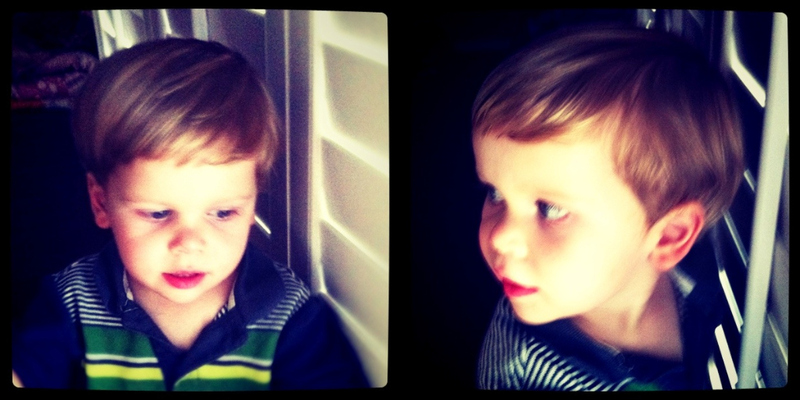 However, it was difficult to get him to stay still enough to cut his hair, but I managed. I didn't even bother cutting the layers in his hair because I knew I would screw that up. But, I managed to get all the exterior - his bangs, around his ears and in the back. And I must admit, it looks much better. Next time he will need a professional haircut so layers can actually be cut in his hair, but I must say, I think I did a dang good job. Remember how I said Connor didn't want to sit still when I was cutting his hair? He didn't want to sit still for "after" pictures either! Oh wow! That looks totally profesh! Kudos! Looks like you did a great job. 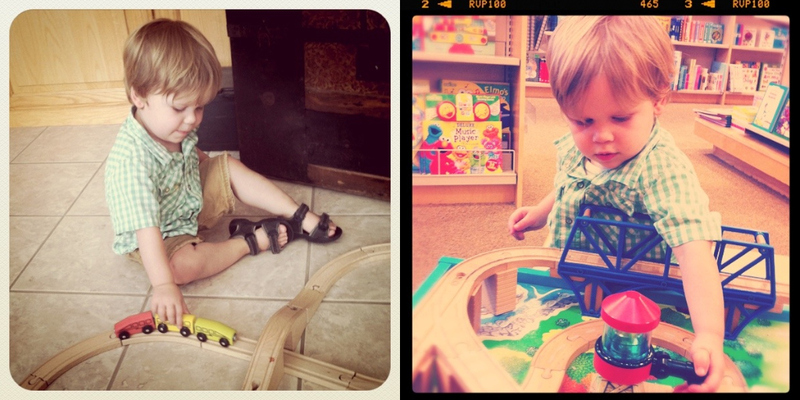 Little boy haircuts are the cutest thing.